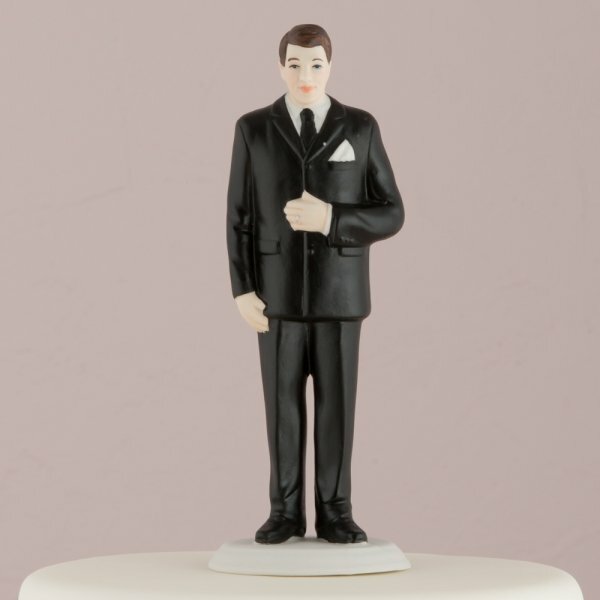 We know brides and grooms come in all shapes and sizes so we designed these hand-painted porcelain figurines to represent a shorter, curvy bride and a big and tall groom. You can buy the figurines separately or together as a set. 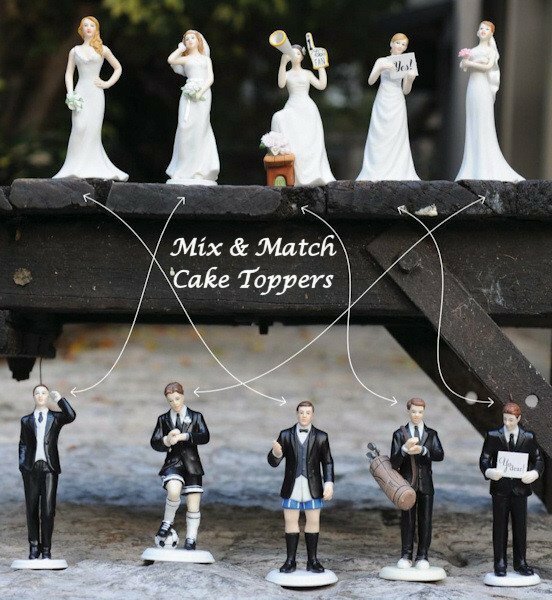 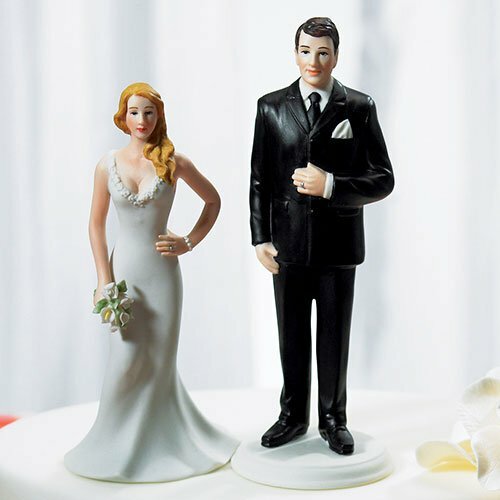 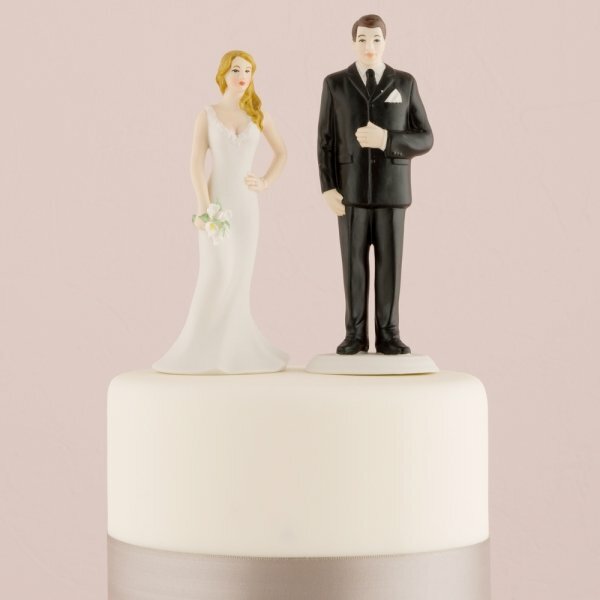 This way you can mix and match with all of our other single interchangeable cake figurines.Product Dimensions: Bride: 2 3/4 x 2 1/8 x 5 1/2"H. Groom: 2 1/4 x 2 1/4 x 6 1/4"H.